One concerned reader recently came in the office asking about how often the recently installed chimes go off at the LaRue County Courthouse. Instead of going off every half-hour, they are wondering if it can go off at noon and six p.m.
You may have heard of the recently popular term adulting. Add a hashtag to that and you have an internet sensation: #adulting. Rain. It’s a strange thing. It is certainly needed to grow the crops that keep us fed. It’s needed to keep the lakes and rivers supplied with the water that we need to drink. But sometimes there’s more rain than one area needs like the folks in Louisiana. We’ve had our share of floods too, thank goodness we’re not in that bad of shape! I went to the Reba McEntire concert at Freedom Hall in Louisville last Thursday. Reba has a distinctive voice and it is amazing how it hasn’t changed throughout the years. However, after going to the concert, I realize I have a problem that makes me not enjoy the concert like I should. The problem is not what you think. It’s not because I think the music is too loud or I had a bad experience. Instead, it’s because concerts make me feel old. I have been called into a number of businesses where the computer technician had left and no one knew the Windows password when it came time to update a program. This is a scary, and potentially costly experience for a small business owner. I suggest you follow these procedures before that crisis occurs, and make sure you create a password-reset disk to have on hand. The Kentucky Governor’s Office of Early Childhood wants parents to know the importance of developing fine and gross motor skills in children so they are ready for school or life tasks. From the first time your baby holds up his head, to the first time she takes her first step, each new skill becomes a celebrated milestone. These skills will allow your child to do common kindergarten work like cutting with scissors or learning to write. Reading a book is an adventure in traveling to unknown lands, meeting friends, through the pages of a book, that I will never meet face-to-face. Head lice infest 10-12 million people (most commonly children three to twelve years of age) each year in the United States. Head lice are primarily transferred from person to person by direct head-to-head contact or by several people using the same combs, brushes, hats, costumes, head-phones, athletic equipment, towels, or bedding. Kentucky received some welcome news last month when a national study found that no state had a smaller gap when comparing the high school graduation rates of students from low- and higher-income families. The average gap across the country stands at 15 percent, but it’s just one percent here in the commonwealth. In fact, our low-income students graduate at a higher rate than the overall national average, something only five other states can say. It’s still a while down the road, but the year 2033 will be a pivotal one for our country, because that’s when U.S. Census Bureau projects there will be more citizens over the age of 65 than under the age of 18. A lot of people have been complaining about the news coverage of both the Republican National Convention and the Democrat National Convention. I have heard a lot of Republicans complaining about MSNBC’s coverage of the RNC, stating MSNBC reporters have Democrat biases. On the flip side, I have heard a lot of Democrats complaining about Fox News’ coverage on the DNC, stating Fox News reporters had Republican biases. I’m still in shock at the overnight popularity of this new phenomenon called Pokemon Go. For those of you who haven’t heard about this popular game yet, Pokemon Go is a mobile phone game that uses GPS and cameras on smartphones to catch these critters called Pokemon, which are these little virtual characters you can’t see with the naked eye. You can only see them if you play the game and have the app installed on your smartphone. Then players can battle each other with their Pokemon, train their Pokemon and so on. I had a great weekend as I attended the Kentucky Southern Gospel Music Singing Convention last Friday and Saturday in Cave City. The convention featured around 100 different southern gospel groups from throughout the state and other parts of the country. Each group was able to sing around three songs on stage each night. I love history, in fact my most ideal form of relaxation would be lounging in a chair outside in the shade with a history book; almost any era or subject of history will do. 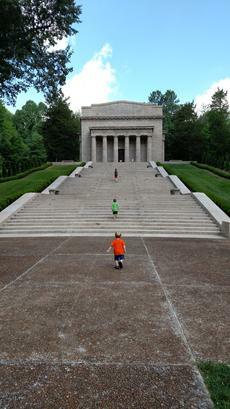 When I discovered my son, Eli, had a keen interest in Abraham Lincoln I was thrilled! 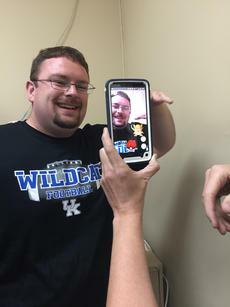 I jumped on the opportunity to bring the kids with me to Hodgenville when I forgot something at the office Saturday. After we got what I needed we stopped by the Lincoln Museum. While I was busy keeping Sam under control, Isaac and Eli were admiring the scenes from Lincoln’s life. Right now, as I begin writing this, the game is tied. What’s that? You don’t know what game I’m talking about? Oh, well, it’s only the biggest game in the NBA. That’s right, I’m watching the NBA Championship game at the edge of my seat with a sick feeling in my stomach because the Cleveland Cavs are playing and the odds are completely against them. Baby Boomers, Generation X and Millennials. The lack of retirement savings in our country is an epidemic that affects all three generations. According to the 2016 Retirement Confidence Survey from the Employee Benefit Research Institute (EBRI), only two-thirds of workers (or their spouses) are currently saving for retirement, with 26 percent reporting they have less than $1,000 saved. It’s time to sweat the small stuff. I’ve been sick, so sick in fact that, finally, after I was lovingly sent home by Allison last Monday and told to go to the doctor and get checked out, I went to the doctor for the second time in less than a week. First time, was bronchitis, I didn’t rest and take care of myself. Long story short: it made me worse, I had mononucleosis and the antibiotics I was on caused me to break out in a rash all over. I was off for all of last week.